We chat about about injuries, life paths and philosophies, and also coffee in this intimate peek inside of our wild minds. Julia Mayer, owner of the French Press/Castle Coffee Roasters basically flips the script and takes us on a wild ride through space and time. Download Julia Mayer Turns The Tables And Interviews Us! 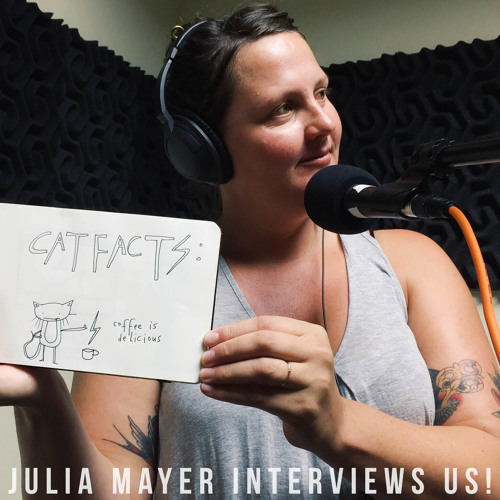 Users who like Julia Mayer Turns The Tables And Interviews Us! Users who reposted Julia Mayer Turns The Tables And Interviews Us! Playlists containing Julia Mayer Turns The Tables And Interviews Us! More tracks like Julia Mayer Turns The Tables And Interviews Us!